The USA tried to involve many Asian and Pacific countries in the creation of the TTP, but China, the main economic entity in Asia, was excluded from this union. 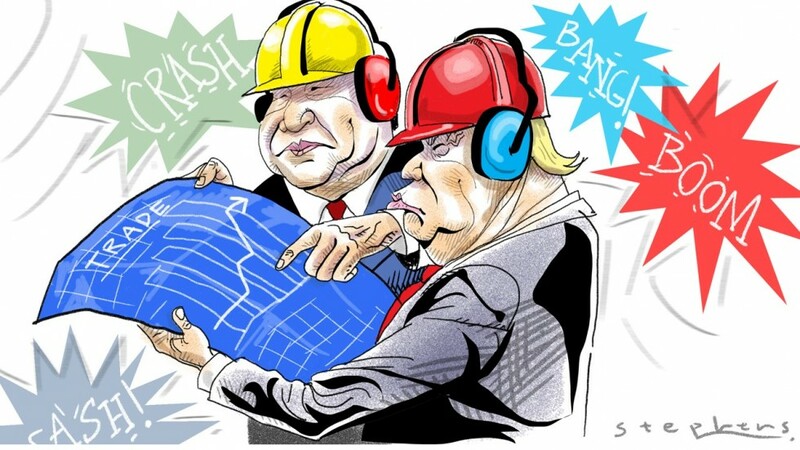 For China, with its state protectionism in sensitive industries that provide economic growth and employment (and therefore important for political stability), the conditions of the TTP were initially unacceptable. Beijing, not without reason, suspected that the USA wanted to create a trade bloc in Asia without the participation of the PRC in order to kick China out of integration processes. That’s why China has tried to create an alternative to the TTP by promoting its project - the Regional Comprehensive Economic Partnership (RCEP). As we recall, Donald Trump "buried" the TTP as a legacy of Barack Obama, and now this partnership under the "TTP Plus" brand is already living its life without the participation of the United States. The main thing is that after the TTP deal any other initiative of this kind (for example, the idea of the Indo-Pacific partnership) automatically raises fears among its potential participants: whether they will be drawn into confronting China, whose trade and economic relations are so important for many countries in South-East and South Asia. The experience and lessons of US trade negotiations are, of course, important for Russia, but mainly in "how not to do." In the same Asia-Pacific region, a large number of trade agreements operate, differing in the depth of liberalization and in the number of participants, which creates the potential danger of dividing the region into separate competing associations. Therefore, for Russian participants in trade negotiations, the choice is unambiguous: to avoid their unnecessary politicization and to act on the basis of transparency and openness, with mutual consideration of the interests and capabilities of the parties, by relating any possible agreements with the multilateral trading system of the WTO. Russia’s participation in the negotiations on the creation of free trade zones and integration projects is determined by its long-term geo-economic and geopolitical considerations, and at present, when Russia is in search of an "entry point" to this process, the latter can be assessed as the most relevant. Equally, and perhaps even more important for Russia is the fact that, unlike such trade and economic "giants" as the United States and China, it is now not so much interested in the development of liberalization of regional trade (trade liberalization), as in the strengthening of its transparency and trade-economic interconnection (trade facilitation), the creation of a fair, stable and balanced trade and economic system, including in Eurasia and the Asia-Pacific region, which responds to the priorities and development level of the Russian economy, especially its export-oriented commodity-producing industries. And here it is necessary to remember the lessons of the recent past connected with excessive politicization. The intensification of Russia’s and the EU policy towards the countries of the region of their "common neighborhood" led to the fact that some of them (Ukraine, Georgia, Moldova) were faced with a tough choice in favor of the priority development of relations with the EU or the Eurasian association. In a number of countries, this has greatly reduced the opportunities for the traditionally conducted by their governments maneuvering strategy between Moscow and Brussels and led to an internal political escalation. However, the European Union held the view that the obligations within the framework of the Customs Union exclude for its members the very possibility of introducing a free trade zone (FTA) with the European Union - in contrast to the CIS Multilateral Free Trade Zone (based on a treaty signed in October 2011 by Kazakhstan, Russia, Byelorussia, Kyrgyzstan, Tajikistan, Armenia, Moldova and Ukraine), which does not presuppose the work of supranational bodies. From Moscow’s point of view, such obstacles can be lifted if one follows the path of establishing an FTA between the EU and the EEU. In the article published by the German newspaper "Süddeutsche Zeitung" in November 2010, Vladimir Putin (at that time the Russian prime minister) put forward a long-term plan for the construction of a free trade zone between Russia and the EU (by the way, at that time the World political vocabulary acquired the term "conjugation").